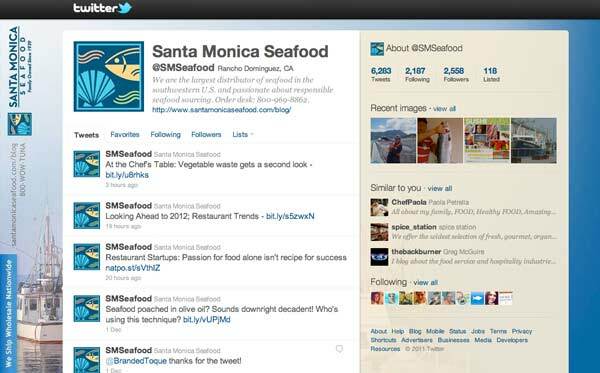 The Challenge: After providing seafood to the region’s top restaurants for seven decades, seafood processor and distributor Santa Monica Seafood was ready to get started with social media. As their website developer Evolution Design was well positioned to assist with online marketing and social media. After listening carefully to the client’s long-term marketing goals, we suggested several social media platforms be established within the first year, starting with Twitter. The Solution: Evolution Design came up with username options, designed a Twitter background and made the account colors consistent with the client’s web design and branding. 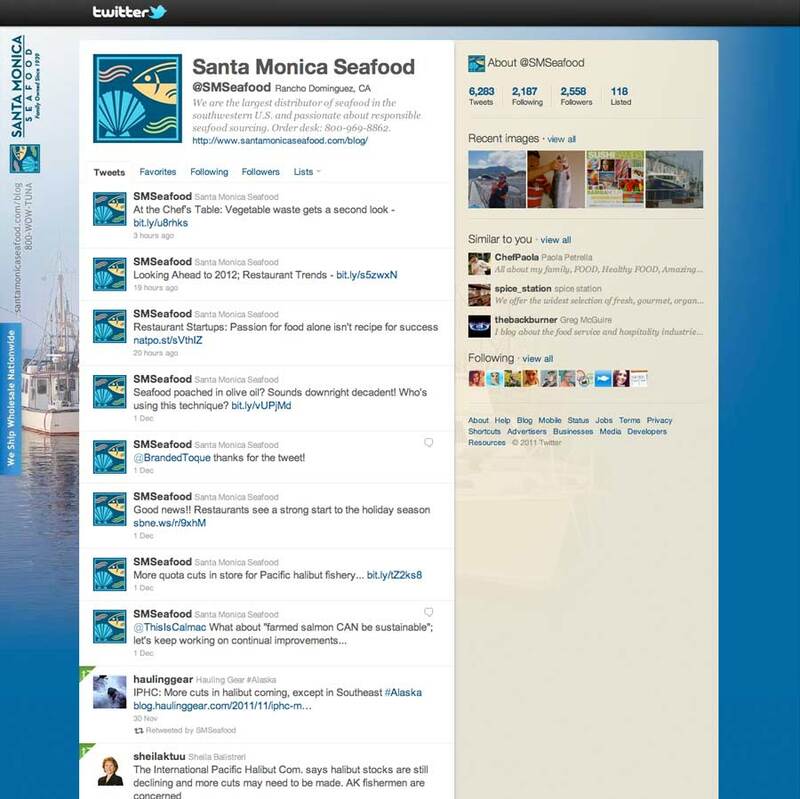 We wrote a number of tweets and created custom imagery to coordinate with company and industry events. We provided consulting, analytics analysis, and team training. Once the company blog was live we added /blog to the profile’s website link to encourage subscriptions.